Yes, those are very interesting pieces. Is there any chance that you could provide photos or links? That way we could all brain storm! 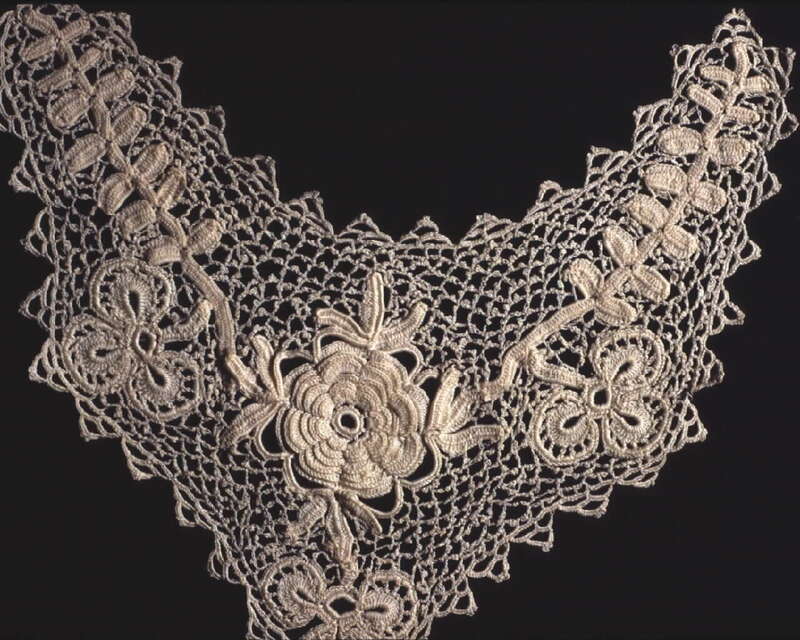 Re Devon's lovely cap and lappets: Devon and I have brainstormed on her lace, and from the research I've done, the consensus seems to be that it's not English. 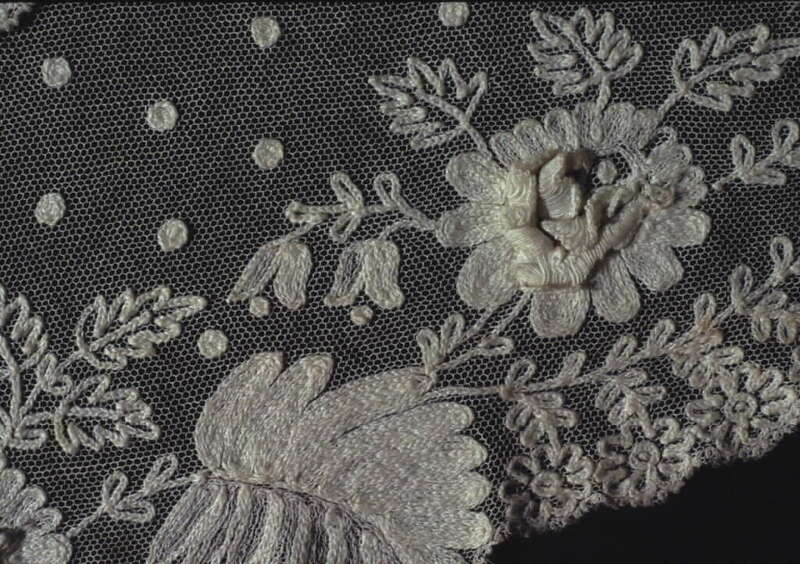 I've seen those double half stitch trails in some photographs of some of the Lester florals, so it's an uncommon element (the cap/lappets on the cover of Ann Buck's book on Lester has double half stitch scrolls). But Devon's piece just doesn't quite speak English to me. I think the people I've asked, feel, like me, that it's possibly French made. I suspect, Devon, that it might be some kind of commemorative piece. I know I suggested St Paul's (London), and you've also had Sacre Couer suggested. Regarding the other mytery piece (IOLI suggested from 18 hours ago): I've been emailing today with an English friend, and she's very knowledgeable when it comes to Beds and British laces, and she kind of agrees with me that it's possibly Danish. It's very reminiscent of a piece in the V&A that she's trying to get re-labelled to show it's Danish, and I've seen photos of another piece that's the V&A's 'sister' piece, and one at CSU in their collection that is a cousin (all from the same 'stable' as it were). They have double half stitch trails (by double half stitch I mean CTCT). I agree that this looks a lot like Beds, even the shape of the collar is like those in B. Underwood's book, but the one element that jumps out at me is the trails done in whole stitch. I don't know if there are examples of Beds with that. Interestingly, there are also a lot of whole stitch ground areas in Devon's unknown piece. 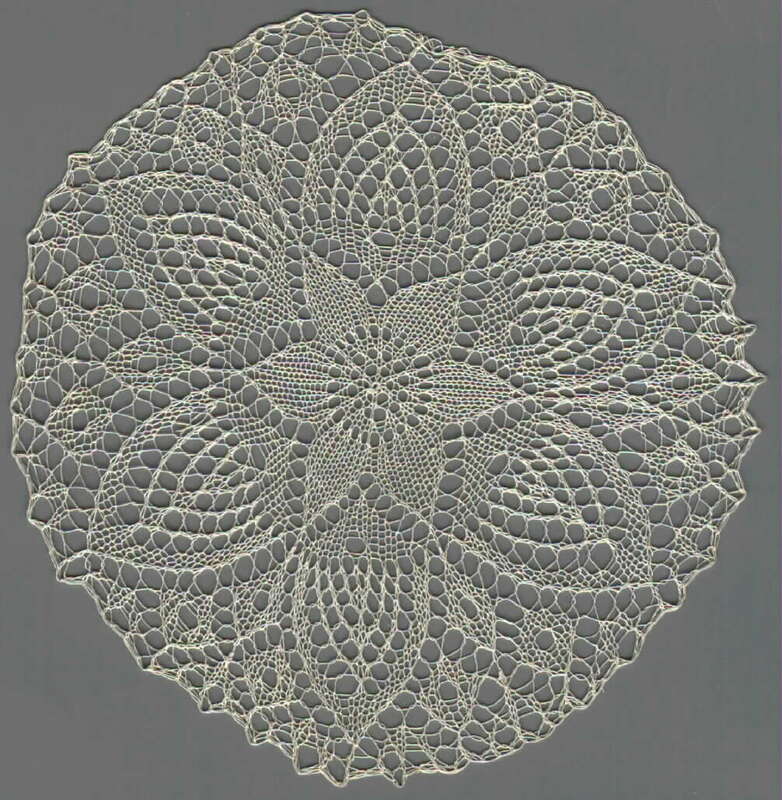 Whatever this is, I may have another piece like it, this lace of uncertain origin.Helen and I have discussed it in the past and I don't think we formed any conclusion. The petals are tapered, not flat like the wheat ears of Bedfordshire, which seems to be significant. Some people think that the building is St. Peter's Basilica in Rome, suggesting that it is a tourist item for mid-19th century tourists, possibly also suggesting an Italian origin, although there is no rule that tourist items actuallly have to be made anywhere near where they are sold. Pretty piece. I've seen some pieces that are reminiscent of that piece, and they would appear to be Danish. It's got the Beds looking elements, but I'd hedge a guess that it's Danish. It just makes me immediately think of the other pieces I've seen. Is this Bedfordshire, Danish, or possibly Swedish? It is from the Museo de Arenys. This is where Tebbs is really useful. She uses all these deceitful names for the laces she describes how to make. I haven't got it all straight in my head yet because the verbal descriptions are like untangling the tower of babel. 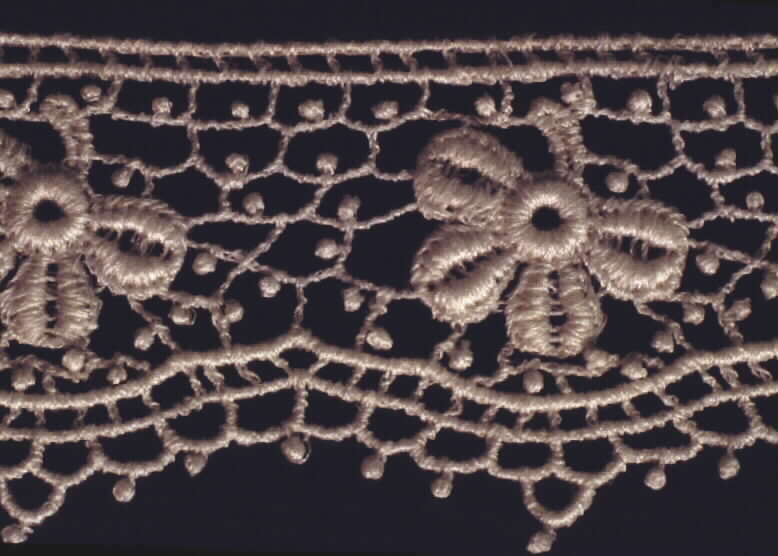 In practical terms there are several varieties of part laces from the late 19th to early 20th century, that I've seen, that don't fit into the Brussels-Duchesse-Bruges Bloomwork continuum. 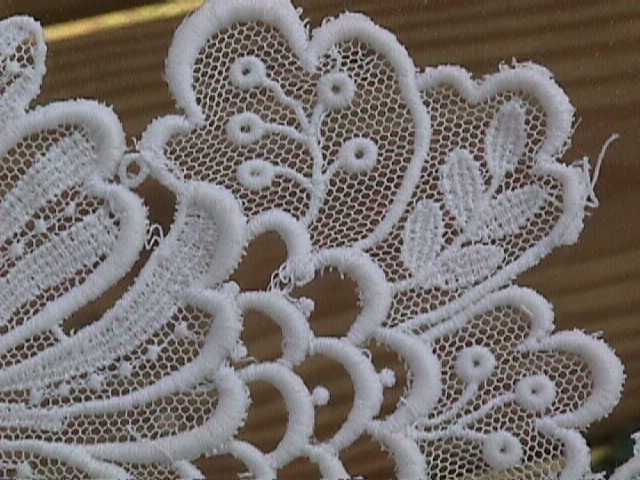 There is a kind of coarse Duchesse type lace, in terms of how the motifs are worked and their shapes, that I have several examples of on my website. 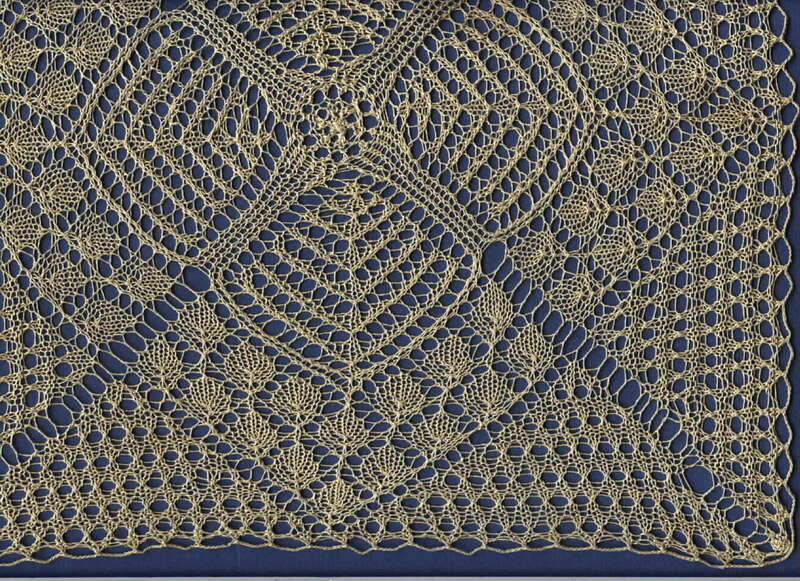 See http://lynxlace.com/bobbinlacerevivalerapart.html #179 178 390 98 209 208 177 and possibly 123. I have a few of these in my collection. 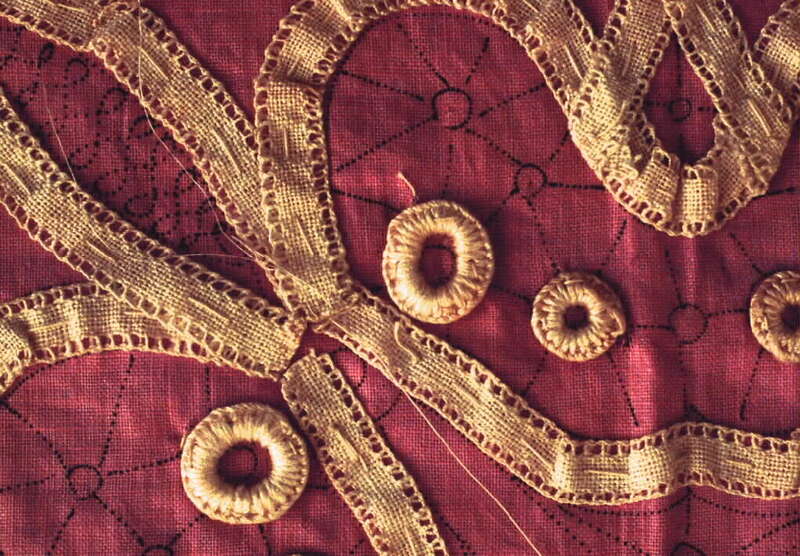 They are typical Duchesse in technique, but the scale is larger, worked perhaps in 100/2 linen (most good duchesse is considerably finer). Yo Pauwels, who taught at Kantcentrum in the 1980s, was in Chicago to give us a workshop and stayed at my house. I asked her what she thought they were. She said "oh, we call that fine bloomwork" fijn bloomwerk. But it is not as coarse as Bruges bloomwork usually is and its technique is like simple duchesse, not Bruges bloomwork. But 338 166 165 are different again. 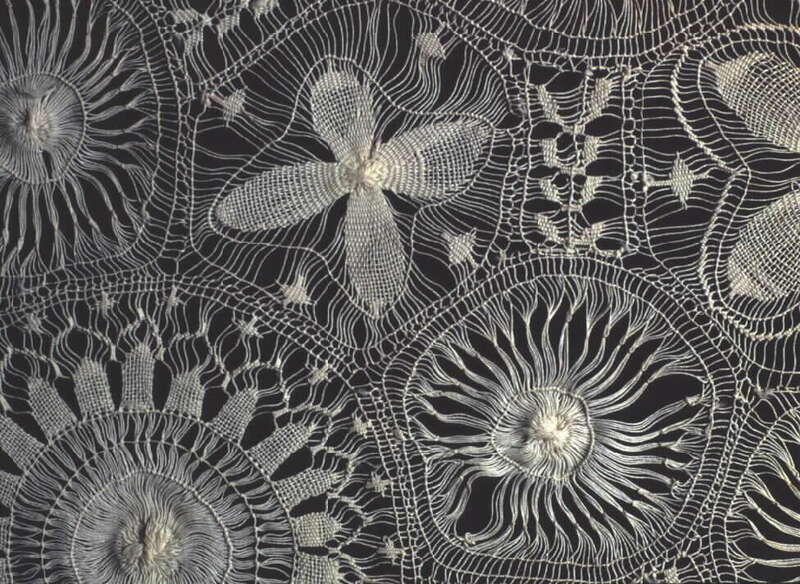 They have the coarse duchesse bobbin lace motifs, worked more openly (almost cheesecloth-like), but the odd thing is the handmade needle lace ground. I cannot keep it straight in my head which of these is what Tebbs called "vieux flandres". She also has other names. I don't know which label goes with which piece. But these are examples I've seen and handled. I've always wondered what to call each of these types and exactly where they may have been made. Tebbs probably has the answer, but I haven't worked it out yet. 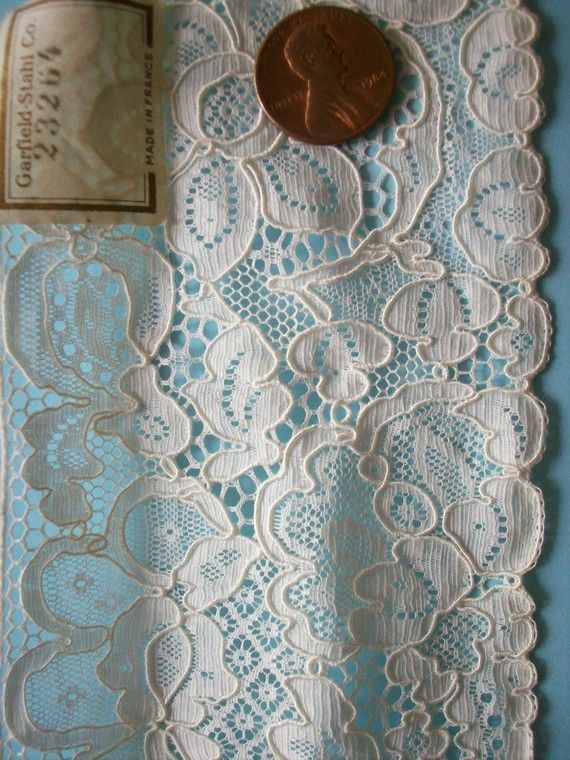 I had an identification adventure at the Lace Museum several years ago. 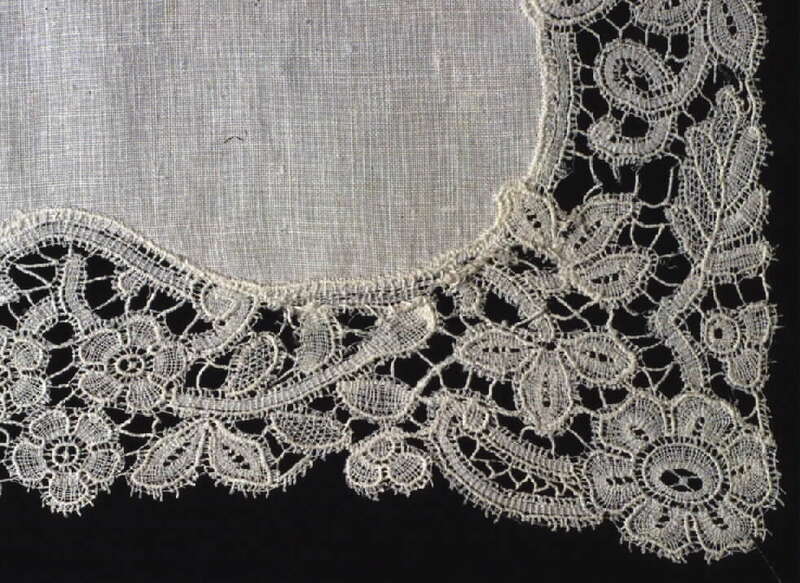 A woman came in with some lace from a deceased relative that was not quite finished. She also had a piece that needed to be repaired. I showed her how to sew in the ends on the unfinished piece and she picked it up quite easily. The piece that needed a bit of repair was a puzzle to me as far as what kind of lie it was. From it's condition, it seemed fairly old (1900 or so), and the first impression was Duchesse, but it was was TOO BIG. The thread was too big, the parts were too big; it seemed a terrible quandary. I couldn't tell her what it was. 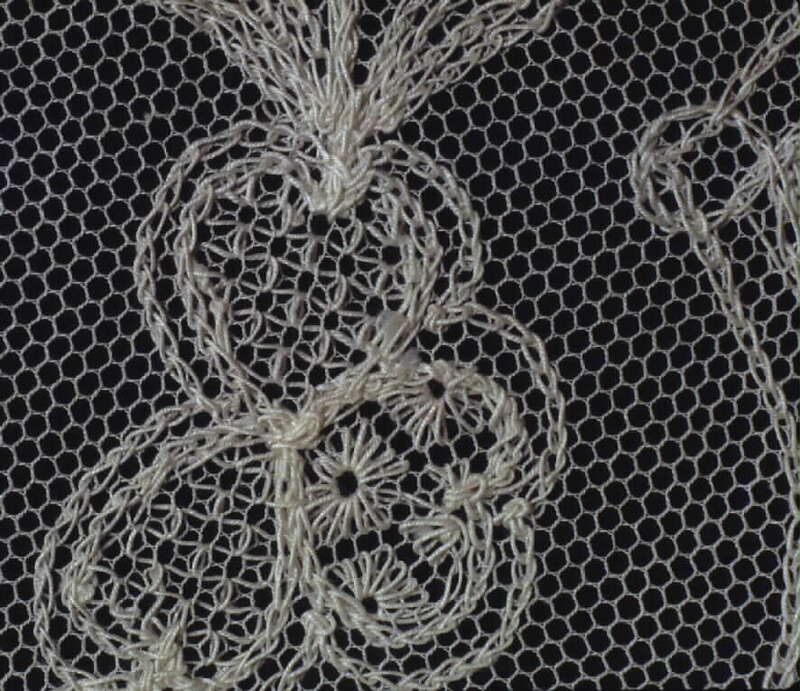 Later I figured out that is was Vieux Flandre, a horror foisted off by the lace manufacturers with a fancy name implying great age. What a shock! While the woman was there, I kept running through the checklist in my head for Duchesse and saying yes to elements, grounds, pattern, but always came back to the sheer size of it. I am curious to know what other knowledgeable people know about Vieux Flandre. What a great project. Well done! Have you shown the curator(s) at the museum the finished pieces? I'll bet they'd love to see how the "fresh new" lace must have looked. If they have seen your work, and/or your Bulletin article, what did they say?